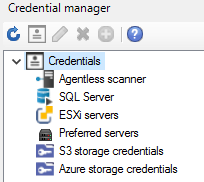 These credentials can still be configured elsewhere in many cases, but the credential manager provides a central location. Some components allow you to specify multiple credentials. 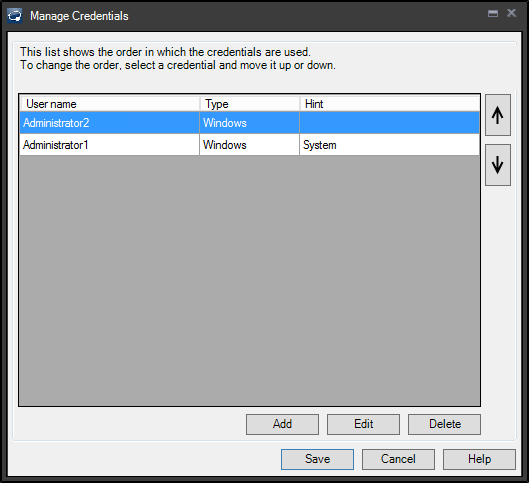 In these cases you can also specify the order credentials will be tried by that component. Use the arrows to change the credential ordering.